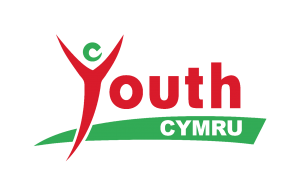 Bookings are now OPEN for stalls at Youth Cymru Festival – Kaya Festival 2017. We are very excited to announce we are back in 2017 bigger and better than before. We have taken on board a lot of feedback and so we move home this year to Bridgend College, Pencoed Campus on August 4 / 5 / 6 2017!!! The Kaya Festival brings a fresh twist to the traditional music festival. Born in Wales, home to the world! Kaya Festival has an ethos of diverse, fun and family friendly, providing a spectacular array of music, arts and entertainment from across the globe! From toddlers to adults, this truly is the perfect festival for all ages, with something for everyone. Youth Cymru Kaya Youth Zone – Kaya Introducing Stage, provides a platform for young musicians to perform and showcase their work! We are looking for organisations/charities to come along be apart of the Youth Zone at Kaya 2017! !